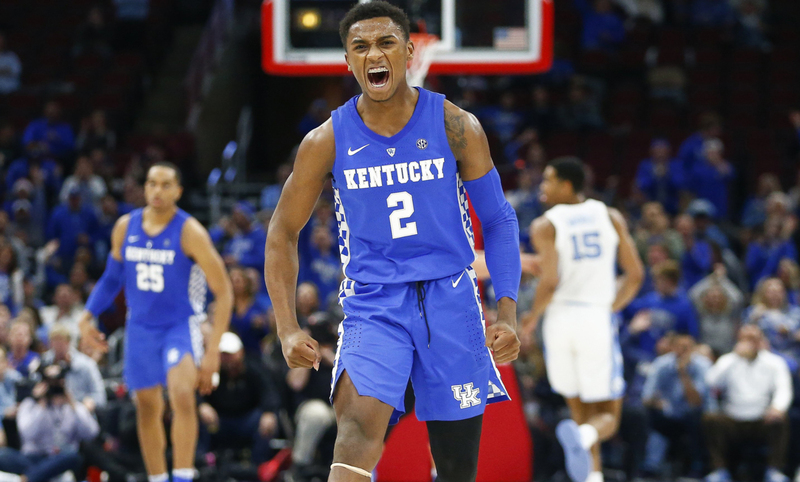 The Kentucky Sports Blog – Your daily dose of Kentucky football and basketball news. For all of you who wanted Eddie Gran gone, you almost got your way today. According to Matt Jones of Kentucky Sports Radio, Gran was offered the OC job at Georgia and a salary of at least $1.1 million. I’m all in, #BBN! Let’s do this ! This is huge for Kentucky to keep Eddie Gran after being offered by one of the best schools in the nation. Welcome everyone to the third episode of Kentucky Talk. You can listen on iTunes and don’t forget to subscribe to the Kentucky Talk podcast feed. You can also listen on Stitcher. Hope you all enjoy. Go Cats. After Kentucky lost in Tuscaloosa to the Alabama Crimson Tide today, 77-75, I thought I’d visit the message boards to see what some fans are saying. I’m sure everyone will be rational, friendly human beings who don’t think Cal can’t coach, Cal needs to be fired, and this is an NIT team. Doesn’t Duke have like three of the best players in the country? Six Elite Eights, Four Final Fours, and a title… I know I went to bed late during March those years. Define “mediocre” and then get back to me. By the way, we’ve only not made it past the Sweet 16 twice in the Cal era. We’ve only played 13 games? Are we really going to start saying there are levels of five-star athletes? “Look how good we looked in the Bahamas against Mega Bemax with minimal coaching and playing more on natural ability. Look how bad Michigan looked against Mega Bemax with minimal coaching. Look at both teams now. Call me names, I’m just saying. So we accuse Cal of rolling the ball out and being a bad coach, now we want him to roll the ball out? Makes sense. Isn’t this team top 15? And I don’t think Alabama is a bottom feeder anymore…. or at least no after beating Kentucky. Oh look, a rational fan. If you haven’t seen it yet, Paul Finebaum released his post-bowl top 10 rankings and the Kentucky Wildcats slid in the door at #10, but they’re still behind Florida, who is #9. People seem to forget that an unranked Kentucky team went to the Swamp and kicked the Gators teeth in. A lot of people say that if Kentucky were to play them again, then Florida would beat them. I think the game would be close and I think Kentucky could maybe even come out with another victory. Notre Dame is a fraud, so drop them to the 10th spot, move everyone up a spot, flip flop Kentucky and Florida, and I’m happy. After a great win against Penn State in the Citrus Bowl, I talk about the game and look back on the season as a whole. Are Benny Snell and Josh Allen some of the best to ever play at Kentucky? You can listen to Kentucky Talk on iTunes and don’t forget to subscribe to the Kentucky Talk podcast feed. Hope you all enjoy! After losing the Pinstripe Bowl 35-3, Miami football now has a vacancy at the head coach position. Mark Richt announced today that he is retiring from coaching and stepping down as head coach of the Hurricanes. 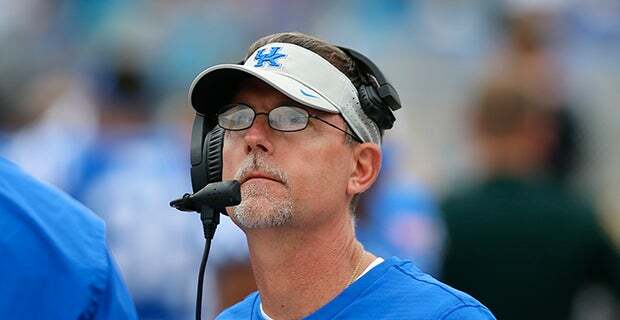 According to Justin Rowland of Cats Illustrated, Mark Stoops is likely to be a candidate for the Miami heach-coach job. It’s not surprising since Stoops has connections with Florida and Miami. Stoops was the DB’s coach at Miami from 2001-2004, and was the defensive coordinator at Florida State from 2009-2012. I would be shocked if Stoops left for Miami. The program down there is a dumpster fire and isn’t close to what it was when Stoops was down there before. We will likely be hearing more news on this throughout the day so stay tuned. Good afternoon BBN. I have been away for awhile and wanted to start off by saying I hope everyone had a Merry Christmas. I hope everyone is enjoying the holidays and got to spend it with friends and family. With that said, I am not much into bracketology, especially with it only being December, but the latest version of ESPN’s Bracketology was released and I thought I’d give it a look. Kentucky is currently a 6-seed in Tennessee’s bracket. They would be facing VCU in the first round and would be facing the winner of UNC and Vermont in the second round. These projections would definitely change once the Cats have handled business against the Cards tomorrow.